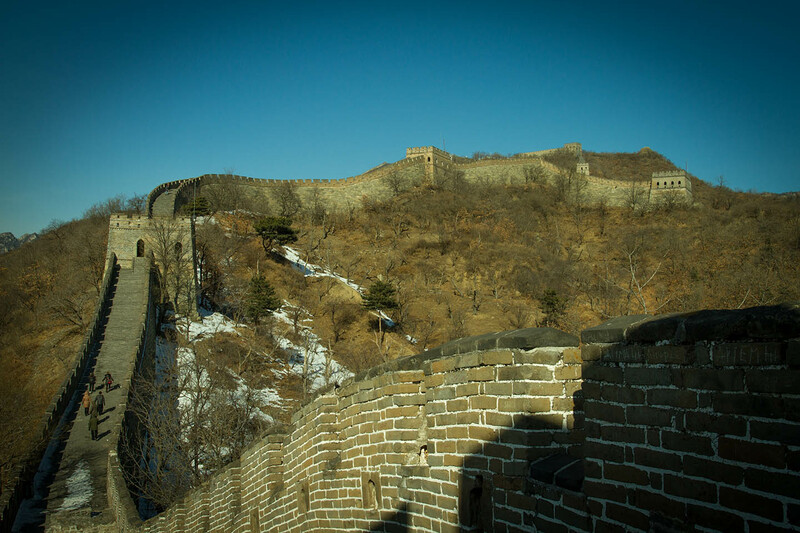 Once you are in China The Great Wall is a must see. With a total length of 8850 km it is visible from out of space with your bare eyes and something you don't want to miss out on. It took centuries to build and 2 to 3 million workers died during its construction. 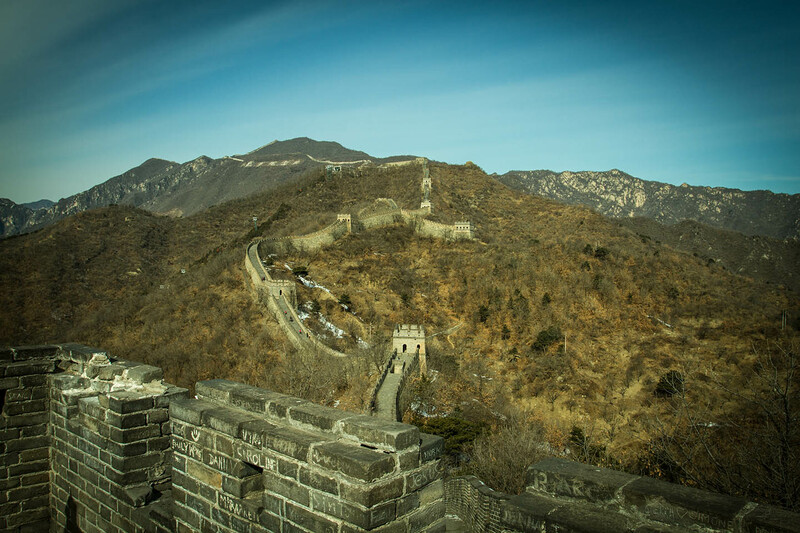 There are several places where you can visit and take a walk The Great Wall. Especially around tourist centers the wall has been well preserved and renovated. We went to a place about 2 1/2 hours north of Beijing. The bus ride took us through some pretty desperate areas but we were glad to leave the smog of the capital behind us. Not only among foreign tourists the wall is a great attraction. Try to avoid the weekends, they can get pretty crowded. 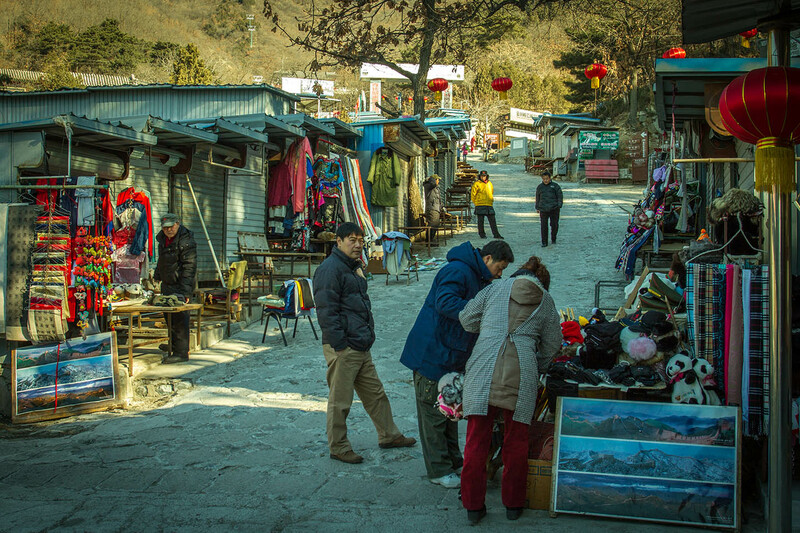 Once you get there you have to take a walk through the mandatory tourist shops, but at least you can stock up on snacks and get a pair of gloves in case you are freezing. 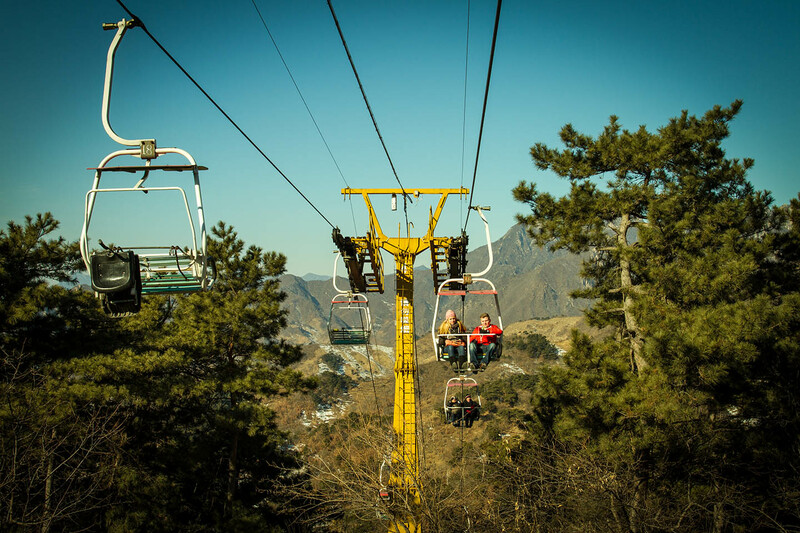 The best and easiest way to get to the top is to take the chairlift. Tickets are cheap and the views are stunning. Some places have a toboggan-run for the way down which is a lot of fun. At our place there were two chairlifts almost side by side, but only one had the slide so we opt for that one. The lift ride up was a little shaky and slow, giving you enough time to take some pictures and enjoy the surrounding. Once you get to the top you have two options: right or left. We decided to go left which seemed to be the sunny side. With the wall closing at 6:00 pm we had plenty of time. It's an awe-inspiring feeling to walk on such an old building. The construction started more than 2000 years ago and since than has been on and off, rebuilt, maintained, and enhanced. Most of todays existing parts were built during the Ming Dynasty in the 14th century. To the left and right side of the wall never ending mountains and valleys are extending. It's nice to pick a day with good visibility although it's hard to tell whether the sun is shinning or not, coming from smoggy Beijing. We were lucky and rewarded with great views over the partly snowy landscape. 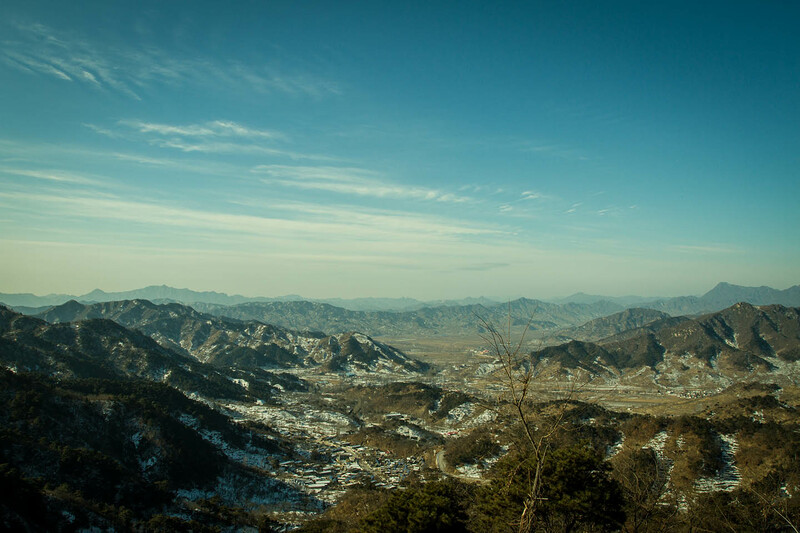 With such a lonesome and meager environment surrounding the wall, it is hard to imagine its original purpose, to protect the Chinese Empire against various nomadic groups, . Walking further and further you gain a greater view over the never ending wall leaving you wonder how someone could have ever imagined to built something so huge and massive. Only the excessive use of workers and slave under miserable conditions and with centuries of time made this possible. During the years of construction millions of worker lost their lifes and their remains and bones where build right into the wall. We walked for hours and really enjoyed letting the atmosphere sink in. Finally we made it back to the chairlift and took the toboggan-run back down. You get a little sled with wheels and a break. It's sitting only one person and off you go. Coming from Germany we are used that everything is regulated and worked out so there would be no chance to harm yourself. Not so in China. We both went pretty fast and hitting the first corner put us back to reality. I almost flipped ending up outside the channel with a 10 meter vertical drop. I nearly put my bones next to the millions that have been working so hard to build this wall. You better watch out taking the toboggan-run, safety seams to be on another measure here in China. It was still fun and reaching the bottom we both felt like going back up and do it again.